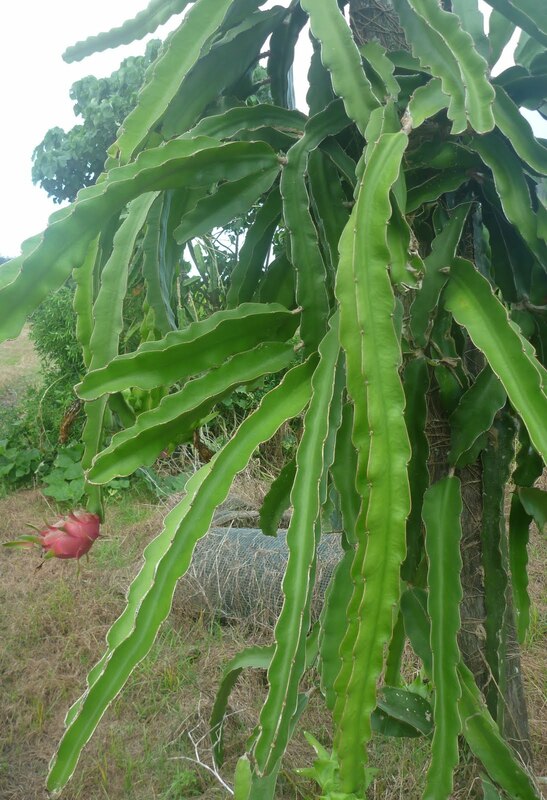 MB was intrigued to see a dragon fruit plant for the very first time at the Liverpool River Banana farm during a recent Feast of the Senses food trail tour. The plant is a weird looking succulent grown on wooden poles. The folks at LRB grow about 5 different varieties, including a very unusual yellow variety, this is a sideline to their main crop which are bananas. The Food Tour group got to see all aspects of banana farming from planting to harvesting and were then treated to an amazing spread for afternoon tea, which of course included banana cake and banana cream pie. They're now so mainstream that you can even buy them at Bunnings at Smithfield. Not the most attractive garden plant though.